EPC “Ingehim” (EPC “Inzhekhim”, as in some older unofficial documents and affiliations in scientific publications of our employees) offers service in strength calculations of vessels, apparatuses and their components. To provide this service, we use modern license software packages (PVP-Design, APM WinMachine). Our specialists gained vast hands-on experience through working at branch research and design institutes for extensive periods of time in the past. We can also carry out checking calculations of strength of equipment for chemical, petrochemical, oil refining, oil, gas and other industries (see reference-list). PVP-Design is an application sofware designed to carry out calculations of strength of pressure vessels, pressure apparatuses, including attendant piping, and/or any components of pressure vessels and pressure apparatuses for evaluating structure’s load-bearing capacity during normal operation, test operation and installation. We have used the software since 2007 for designing, redesigning and diagnosis of vessels and apparatuses and closely cooperated with the sofware developers for improving quality of PVP-Design. APM WinMachine is a CAD/CAE software intended for calculation and design of machine elements, mechanisms and structures. The software is designed for stress-strain analysis of framed, plated, shell and solid-state structures and/or any arbitrary combinations of the above types of structures for which standardized design procedures do not exist. to use built-in databases for standard items and standard materials and also to create in-house databases for specific purposes. to perform automatic generation of nomenclature of construction elements. These state-of-the-art software packages allow to search for the best engineering solutions when designing non-standard equipment for our customers both in Russia and the CIS countries. 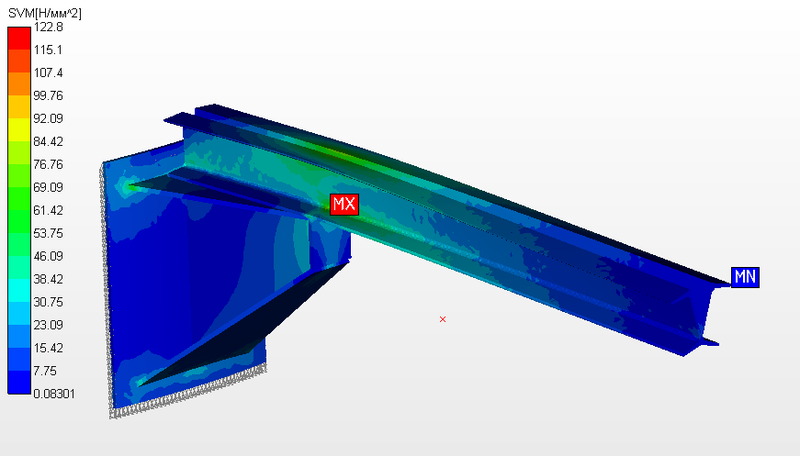 We can also carry out strength calculations for the non-CIS countries using both these software packages and packages well-known in the world such as Ansys. We will calculate our service fees after receiving all requirement specifications through e-mail.